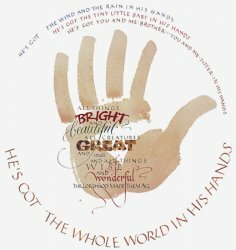 All things bright and beautiful, All creatures great and small, All things wise and wonderful, The Lord God made them all. 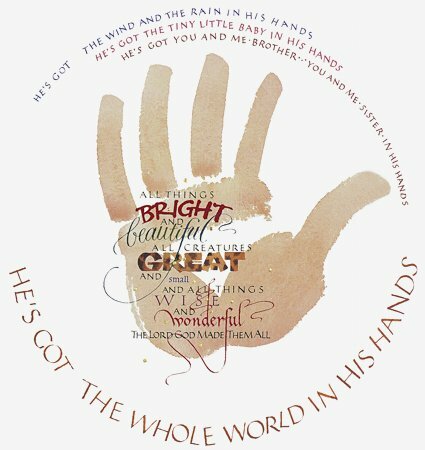 He's got the whole world in His hands. He's got the wind and the rain in His hands. He's got the the tiny little baby in His hands. He's got you and me, brother, in His hands.